The U.S. Armed Forces are playing a key, pivotal role in hastening the transition to clean, distributed energy resources, including both deployment and research and development of renewable energy microgrid technology. 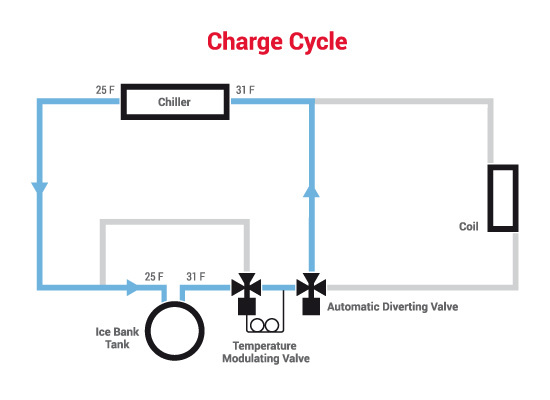 On Nov. 15 Fairlawn, New Jersey-based thermal energy storage systems specialist Calmac announced the Naval Post Graduate School’s Integrated Multi-Physics Renewable Energy Laboratory (IMPREL) in Monterey, California had integrated the vendor’s ice-based energy storage technology into its on-site microgrid. Capable of operating in sync with the local power grid as well as autonomously, in ¨island¨ mode, Imprel is testing and evaluating the integration of a variety of energy storage technologies with local solar and wind power generation sources to create a microgrid. Combining the latest generation of ice-based thermal energy storage and renewable energy generation offers several advantages as compared to alternatives, such as lithium-ion battery-based energy storage systems (BESS), according to proponents. “Ice-based energy storage is the low-hanging fruit of the industry,” Calmac CEO Mark MacCracken was quoted in a news release. “The biggest advantage that fossil fuels have over renewable energy resources is that a barrel of oil or lump of coal is a form of stored energy that can be released at any time. Still in their early phases of evolution and commercial adoption, Imprel is taking an applied, multi-faceted approach to renewable energy and energy storage integration. “Applying the multi-physics approach to our microgrid project, over the traditional microgrid approach, allowed for the use of fewer renewable energy sources to meet demand, reducing size, costs and the amount of unused energy,” Dr. Anthony Gannon, Assistant Professor, Mechanical and Aerospace Engineering Department, Naval Postgraduate School, explained. Ice-water energy storage systems cost less and last longer than battery-based alternatives, according to Calmac. 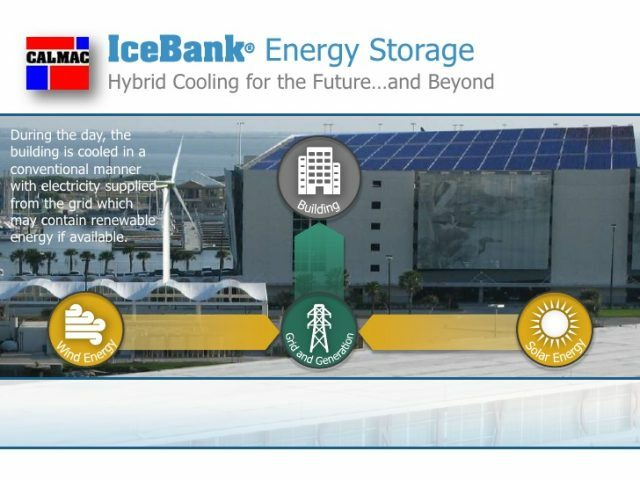 There are also operational benefits to using ice-based energy storage. ¨By relying on the phase change of water between solid and liquid, Calmac’s technology is not susceptible to the negative effects of cycling and can completely discharge. Given this, the lifespan of the ice-based energy storage tanks has been known to exceed 25 years and are 99 percent reusable or recyclable,¨ the company points out. Although scalable, ice-water thermal energy storage systems generally lose out as compared to advanced battery-based energy storage when it comes to power and energy density, however. In addition, increasing the capacity of ice-water and other liquid-based energy storage systems, such as flow batteries, is simple but requires increasing the volume of liquid storage capacity, which can be a constraining factor.